Cowboy SEAL Redemption is the second in the Navy SEAL Cobwoys series featuring three former Navy SEALS injured in the line of duty. 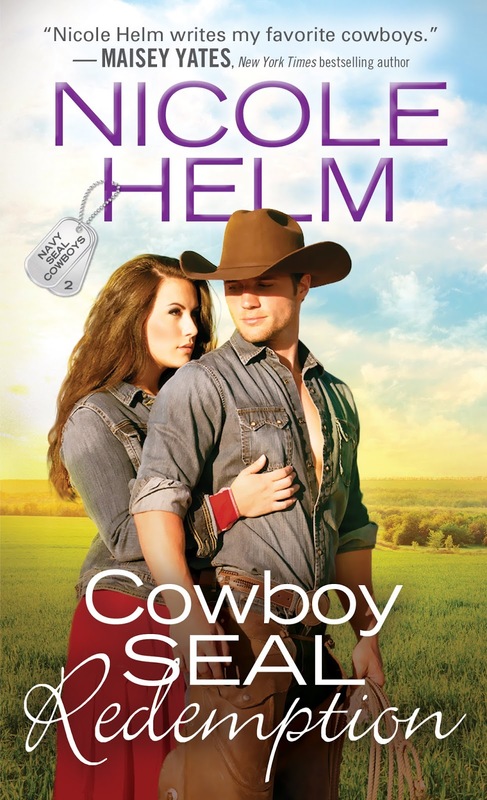 It's the perfect blend of rough-and-tumble cowboys and honor-bound Navy SEALs. Jack Armstrong and Rose Rogers strike a deal - she'll pretend to be his perfect loving girlfriend while his family is in town and he'll provide her bar with extra security. As their ruse starts to feel real, both must face the pain of their past. Can their troubled hearts find their way to redemption? 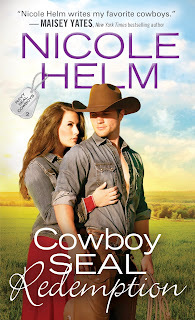 Enjoy this excerpt from Cowboy SEAL Redemption! The ramshackle house was still unlivable—especially in the winter months—but sometimes in the summer, Rose could come out here and spend the night if she didn’t mind the mice. Eventually she’d fix it up completely, not just the random little repairs she knew how to make. For now, regardless of how ugly it was, it was her escape. Her secret. The bar was her power, and this place was her sanctuary. “Hey, that’s my baby you’re talking about there. Be careful. And get out.” She slid out of the car herself and took a deep breath of the beautiful Montana summer night. These short stretches of summer weeks, when a person could go outside without a coat, always felt like magic. It was that brief period of time every year when she could pretend she lived somewhere warm and inviting. “Seriously. What is this place?” Jack asked, stepping out of the car and looking around the starlight-dappled yard. “This is my house,” she said, spreading her arms wide. She ignored that question and walked toward the pond. Jack needed a little recalibration. When you were stuck in a bad way of thinking, after a bunch of bad things happened to you, you needed to break free. She had no business being the one to offer him a little solace, but she had solace, and growing up in a world empty of it meant she gave it when she could. No matter how often she tried to convince herself she was so much harder than all that. She pulled her shirt up and over her head and let it fall to the ground. She didn’t miss the little squeaking sound that came out of Jack’s mouth when she did it, but she kept moving for the pond. Once she reached the bank, she shimmied out of her jeans. She turned to face him, putting her back to the water. Moonlight shone on the sharp lines of his face—that perfect nose, high cheekbones, everything about him so angular and masculine, his expression so serious and stern. Even across the yard, lit only by the full moon, she could see the emotion in his eyes. She’d been a little hard on him back at the bar, talking too frankly about Dad’s heavy fists, because this guy had his share of troubles. Even if they weren’t the same, even if they didn’t quite compare. But trouble… oh, she was intimately acquainted with trouble, and what Jack needed was to find himself a little of the right kind. That was one thing she had in spades. So she flashed a grin and hoped he could see it in what little light they had. And then she jumped backward into the icy-cold water of her pond. No amount of Montana summer sun could warm this up, but it wasn’t the sort of cold that would kill you. It was the kind of cold that reminded you that you were alive. That was what Jack needed. She dove deep into the water, reminding herself of that, before coming back up to the surface. She stood, letting her toes sink into the mud, the water lapping at her chin. “Your turn,” she called to him. Jack stepped forward with an irritated grunt and pulled his shirt over his head. “Is that a tattoo?” she called, squinting at the mark on his bicep. “What are you so afraid of?” she returned, scooping her hand through the water and trying to splash him. That shut her up for a second. Which was good, because she was letting this giddy feeling overtake her, and then she’d say stupid things and probably do stupider ones. “This public can handle it. Take off your pants and jump in the pond.” Because she didn’t know how to be sweet or sympathetic, which was likely what Jack needed. Someone like Felicity, who would know how to give him a little peace and comfort that didn’t involve threats and icy water. Who did she think she was, really? Like she was ever going to know how to help some former Navy SEAL who had voluntarily signed up to fight far away from home. He’d actually been brave enough to want to do that. She’d only ever fought because she didn’t have a choice, and sometimes she hadn’t fought at all. She opened her mouth to tell him to forget it—maybe she’d even choke out an apology. Of course, that was when he decided to take off his pants anyway and jump in beside her.